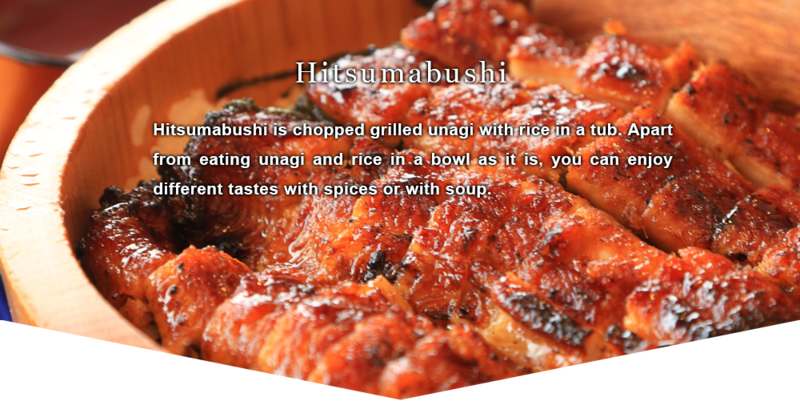 To begin with, the whole unagi and rice is divided into four portions by using a rice scoop. Then each portion is eaten in a different way. and enjoy the very taste of unagi. Then you put some spices like spring onion and wasabi. Good flavors of spices spread in the mouth. you pour soup to make dashi chazuke. the refreshing taste of chazuke.